Story time is going much better lately. We haven't had story time on the stepped area with the bean bags in a while, and I sometimes wish I had that rug back. It didn't take long for me to realize that I needed to make very careful choices about what books to read during story time. I turned to my SCASL tribe for advice on selections. Here are some of the titles they suggested for K-2 story time. Jennifer Falvey, of Heathwood Hall, suggested books that were silly with lots of repetition for Kindergarten through first grade. Here are some of her favorites. 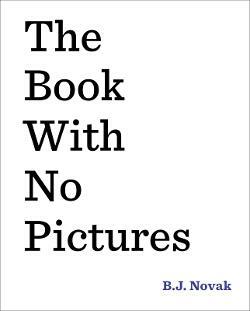 Falvey's all time favorite story time book is The Book With No Pictures by B.J. Novak. 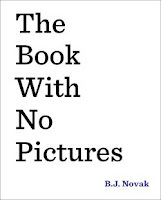 The book That is Not a Good Idea was a huge hit for story time. The students loved shouting "That is NOT a good idea!" at the right places. I purchased a copy of The Book With No Pictures and laughed out loud while I was reading it for the first time. I am saving this one. What a gem. It will be like a secret weapon. I will keep it at the ready, but I can't wait to read it. Karen Hoover, a retired school librarian, suggested The Little Old Lady Who was not Afraid of Anything by Linda Williams. Since we already had this title in the library, and it is fall, I read this one right away. I gave the students simple items from our makerspace to use to make the clomp, wiggle and shake sounds in the book and assigned each table a specific sound. It worked really well. Carla Nash recommended Maple by Lori Nichols, Press Here and Mix It Up by Herve Tullet. Tap the Magic Tree by Christie Matheson was recommended by several folks. I read Tap the Magic Tree for story time, the kids liked it. 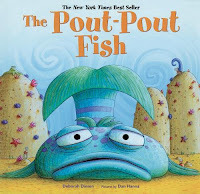 Angela Durham recommended I Ain't Gonna Paint No More by Karen Beaumont, How I Became A Pirate by Melinda Long, and Precious and the Boo Hag by Jean Moss and Patricia McKissack. One of Janet Deavor's favorites is We're Going on a Bear Hunt by Michael Rosen. Lea Barrett added Robert Munsch: More Pies, MMM Cookies and Jump Frog Jump by Robert Kalan to my list of go to titles. 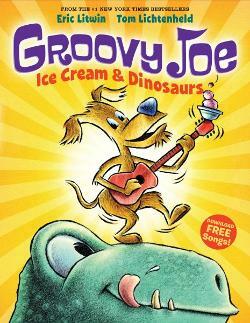 Groovy Joe books by Eric Litwin were suggested by Darla Scruggs. Lee Grayson said that "Any book with action and movement works well." 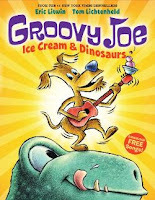 She also shared this link to a website that incorporates creative drama exercises http://www.childdrama.com/picturebook.html I am going to give Groovy Joe and that website a try for sure. I started to read Stellaluna by Janell Cannon today for story time. These beloved classics keep calling to me. Stellaluna is a wonderful book, but it wasn't meant to be for my story time reading. It's probably better with a small group of students. Since Stellaluna wasn't working for me , I switched to I Yam Not a Donkey! by Cece Bell. 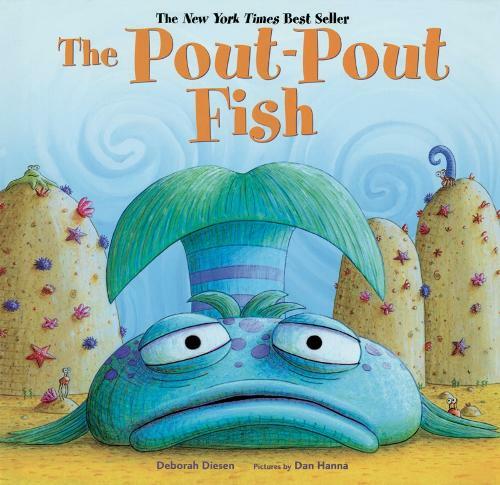 I absolutely love seeing the children's eyes light up the moment they get the humor of this book, and I must say I do a pretty good donkey voice. The only down side to this recent streak of awesome story times I have had lately, thanks to the helpful suggestions of my colleagues, is that now, I have to keep it up. It's so great when they actually applaud at the end of the book and I am such a sucker for it. I don't know if we will ever be able to have story time on the steps with the bean bags like I pictured. For now, I am going to focus on finding more great books to get me through the rest of the year. Aside from the fact that I would get to work with children for longer timespans, this new position was attractive to me because the library is, GORGEOUS. Tasteful and rich are words I would use to describe my new surroundings. I must say that my previous library was also fantastic. It had a computer lab with 28 computers and a Smart Board, a huge motorized projector screen with a ceiling mounted projector, a dividable conference room space, and cathedral ceilings. My new library's high ceilings are skirted with luxurious moldings, huge picture windows flood the space with natural light. Three circular windows add a unique nautical vibe to the room. And let me tell you, librarians: the circulation desk - is to die for. Yup. It is a for real circulation desk, set high with slots and bins and places to repair books. The circulation desk at my old school, it was literally: a desk with a box beside it. In the floor plan this library is referred to as the "reading room." To top it all off, there is this stepped reading area by the windows. I just love it. Immediately I said to my sisters, "THIS is where I will have story time." I swiftly gave away the alphabet rug that was on the floor near the projector screen, since I decided that we would not be using that for story time. Ever. Not with those lovely beanbags on the steps. By the way, story time, that was another reason I liked the sound of this job. I wanted some of that good old story time. I pictured myself reading fantastic picture books to groups of enthralled children who sat gazing at me in wide-eyed excitement, hanging, on my every word. I pictured myself doing the voices. Yes, I would read in the voices of the characters in the books. I would read to them exactly as Barry Lane had implored us to do many years ago when I heard him speak at the Spartanburg Writing Project Conference, with the voices. He said, "You have to do the voices! Don't read like a robot! You will never get these kids to love reading if you read to them like that!" School began and classes started coming to the library. I excitedly sat the children down in the bean bag chairs to read to them. This was something I was looking forward to. I can't even remember what book it was that I chose. But, I can tell you this: that story time, it was awful. The children would not, could not, sit still and be quiet while I read. I even spotted a pair of students playing rock paper scissors, while I was reading. The horror! And I was doing the voices! Prior to this, my only elementary-aged story time experience involved my nieces and nephews on my lap or snuggled in cozy. One on one. Very low-ratio story time. Now, I was frustrated and confused and a bit disheartened. "That did not go well!" I said to my partner Cheryl. I selected another book for the next group, thinking that would do the trick. It did not do the trick. Wiggle wiggle, whisper whisper. Shift, giggle. Poke. This was not how I thought story time would be. Was it the bean bags? Was it the story? Was it me? Did I have unrealistic expectations? Story time had to change, and I had to figure out how to make it work . . fast! I consulted with my coworkers and fellow librarians for suggestions. Did they have this same problem? Why did I give away that rug? Since then, I have made a few changes. So far, things are going more smoothly for everyone. And that, my friends, will be exactly what my next post will be about! In my next post, I will share the suggestions and advice that have helped me improve story time and share some of the fun experiences I have had. In August, I began working in a school that serves students in pre kindergarten through grade eight. Before this, I spent 22 years working with middle school students in a variety of capacities, including school librarian. I knew this job would teach me many new things. I have already learned so much. One of the reasons I took this leap was that I liked the idea of working with students for a longer period of time. How cool is it to know a student from their pre-school or kindergarten days all the way up to middle school? I love that possibility. It is only October and already I am in love with quite a few of these little nuggets. 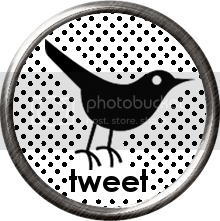 Over the next several months I plan to post on some of the new experiences I am having. One of the first topics will be story time.